How Much Do I Need to Itemize on My Federal Taxes? Can You Claim Mortgage Interest on Taxes? When you file your federal income taxes, if you don’t claim every deduction you’re entitled to, you’re literally handing more money to the Internal Revenue Service. Because of this, you should itemize everything you’re allowed ... that is, if itemizing turns out to be the best strategy to save you money. Many taxpayers are better served claiming the standard deduction and skipping itemizing altogether. Regardless of how you spend your money or the sort of records you keep, you can claim the standard deduction, a write-off the IRS allows all taxpayers as a shortcut when filing taxes. For tax year 2012, the standard deduction for an individual was $5,950, or $11,900 for couples who file jointly. If you claim head-of-household status, $8,700 was your standard deduction. This isn't a two-way street, however. If you claim the standard deduction, you can’t itemize and claim other deductions; if you itemize your deductions, you can't claim the standard deduction. If the total value of your itemized deductions is less than the standard deduction, you've lost money on your tax deduction. Make sure you have more to itemize than the annual standard deduction for your filing status so that itemizing your deductions is worthwhile to your pocketbook. If you own your home, good news -- you’re eligible for some hefty tax deductions. The IRS allows you to claim all the interest that accrued on your mortgage up to the first $1 million of your loan. The home must be your primary residence -- you can’t lump in interest on investment properties or vacation homes -- and the loan must be secured by the home itself. In addition, if you purchased points when negotiating your mortgage, you may also deduct the price of the points in full in the year they were purchased. Using your own property for business purposes also qualifies you for some relief from Uncle Sam. If you maintain a home office or use a part of your home exclusively for your business -- such as an in-home hair studio, for example -- you may deduct a portion of your rent or mortgage equal to the portion of the home business space. You may also claim miles driven for business purposes, though not commuting -- unfortunately, your drive to and from work doesn't count. You must document your business driving as it occurs. Additionally, 50 percent of food and entertainment expenses may be claimed if used for a business purpose, so make sure to keep track of how much money you spend on those clients you entertain. Can I Claim House Repairs on My New Home on My Tax Return? Can I Count My Mortgage Interest on My Federal Income Tax Return? If you incurred unreimbursed medical expenses, you may be able to deduct them, but you need to have a lot of them. 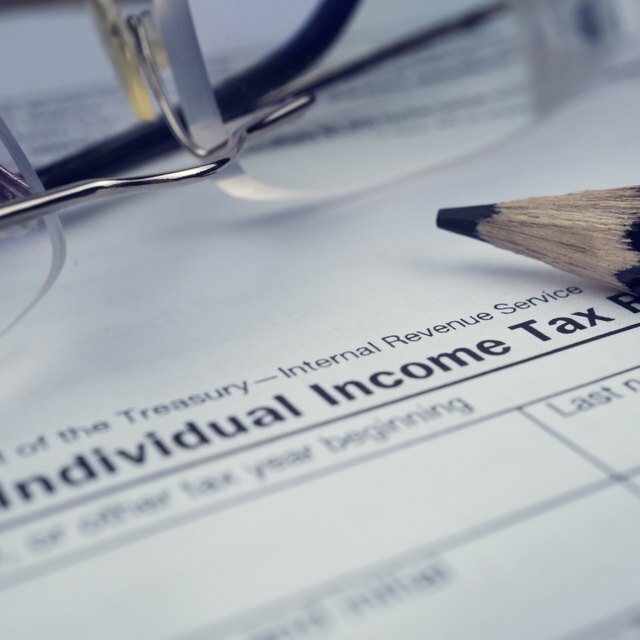 For the 2012 tax year, you could deduct any unreimbursed medical expenses that exceeded 7.5 percent of your adjusted gross income -- but the IRS is making it harder to claim this deduction. After Dec. 31, 2012, the IRS tacks on an additional 2.5 percent requirement and you may only deduct the amount that exceeds 10 percent of your AGI. Giving money to a cause that is close to your heart can result in the benefit of a tax deduction if you make your donations to a charity that the IRS recognizes as qualified to receive tax-deductible donations. If you donated items, you may claim the fair market value, the price another person would likely pay for the item, as a deduction. If your item has dropped in value, don't try and claim your purchase price; you can only claim what the item is worth on the market today. Training or supplemental education intended to improve your job skills in your current career or to keep professional accreditation is beneficial to more than just your resume. You may deduct all your educational expenses, including tuition, books, transportation costs and other student fees. You can’t claim this credit if you’re training to begin a new career, or studying in college directly out of high school, however, so don't get carried away.